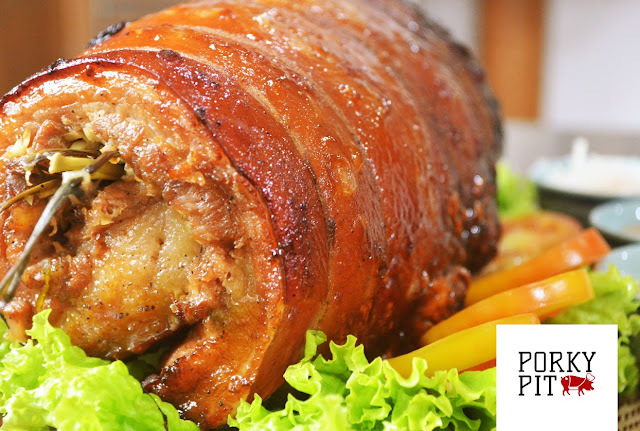 Porky Pit is the latest brand launched by Diancia Trading Inc that will satisfy your craving for Cebu lechon. Now you may be wondering how Porky Pit is different from other Cebu Lechon dealers in Manila. In my opinion quality, variety and affordability are what makes Porky Pit stand out from the rest. Porky Pit only makes use of the best part of a suckling pig, its belly. 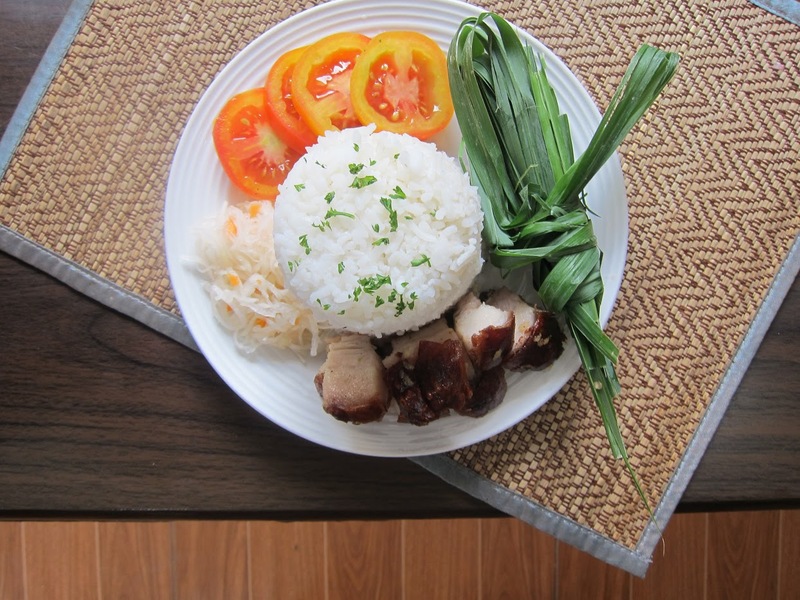 They also offer a variety of on-the-go meals using tasty lechon meat. Aside from the classic lechon belly, Porky Pit recommends for you to try their lechon rice, lechonarma with veggies and lechonarma all-meat wrap. Porky Pit's Lechon Belly brings the traditional Cebu Lechon to a whole new level. 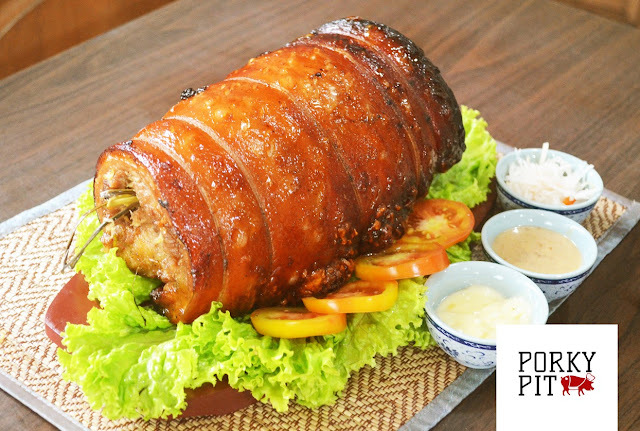 Aside from stuffing it with a combination of herbs and spices, the way classic Cebu Lechon are prepared, Porky Pit also marinates it with the basic ingredients of Cebu Lechon before slow-roasting over oven heat. That way, the meat is infused with the flavors of lemon grass, leeks, garlic, salt and pepper. This method also tenderizes the meat while achieving skin crispness that everyone loves! The lechon belly is sold per kilo and best to grace your table on any occasion. If you’re craving for Cebu Lechon, you won’t have to wait for the next special occasion to enjoy it. Porky Pit’s Lechon Rice satisfies your craving on any given day. For just P99 you get to savor a meal consisting of a single serving of Cebu Lechon with rice. I actually enjoy the flavor on its own but you can add more variety and choose among the three dips available like the garlic sauce, roasted sesame sauce or spicy vinegar. 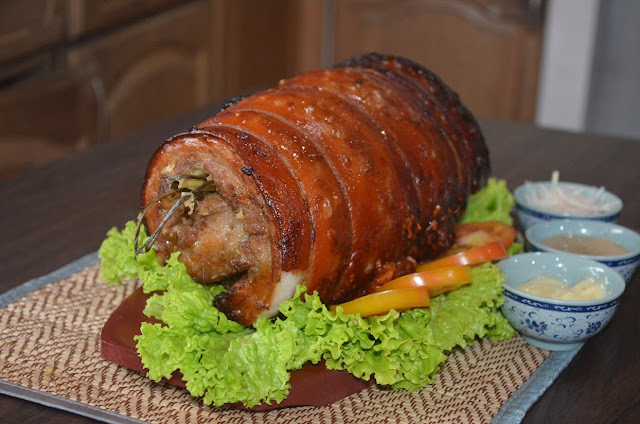 Do you want to enjoy the taste of Cebu Lechon on the go? 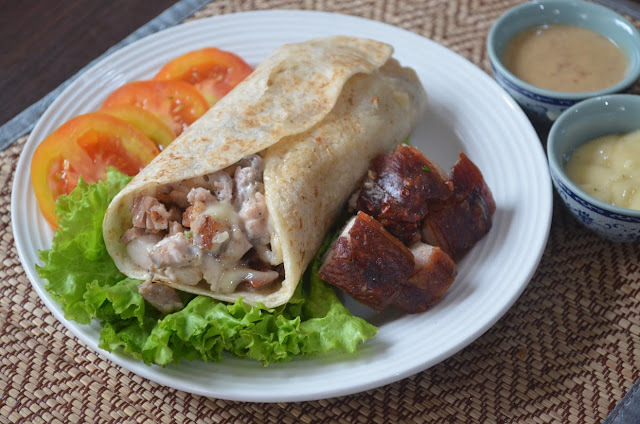 Then you have to try Porky Pit's Lechonarma, a fusion of tasty lechon and shawarma in one dish. 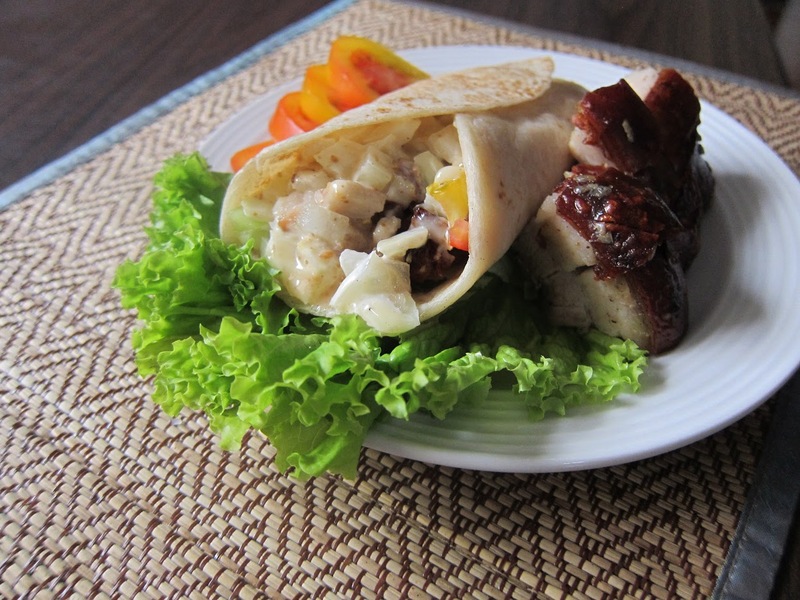 The lechonarma consists of Porky Pit lechon meat mixed with cucumber, garlic, onion and tomatoes all wrapped in pita bread. Choose between the Lechonarma all-meat, stuffed with 100% lechon meat or Lechonarma with veggies made of 60% lechon meat and 40% vegetables. Lechonarma is best enjoyed with your chosen sauce of either roasted sesame or garlic sauce. Love cheese? Porky Pit has you covered! You can enjoy your lechonarma with cheese by just adding P15. Porky Pit makes use of premium ingredients without added preservatives and fresh pork belly supplied by BFAD-accredited suppliers. Their frozen pork belly can last a week after the manufacturing date. They deliver within Metro Manila for a minimum order of 4 kilos and will be opening their branches soon at SM San Mateo and SM Novaliches. If you can't wait to try Porky Pit's Cebu Lechon, you may catch them at the World Bazaar Festival until December 22, 2017 at the World Trade Center. You may also reach them via facebook, instagram or twitter.